2015 Exhibition Catalog: Duwamish Residency: Artifact and Process: a group art show by the Duwamish Residency at Gallery4Culture, Seattle Washington. Curated by Sharon Arnold. 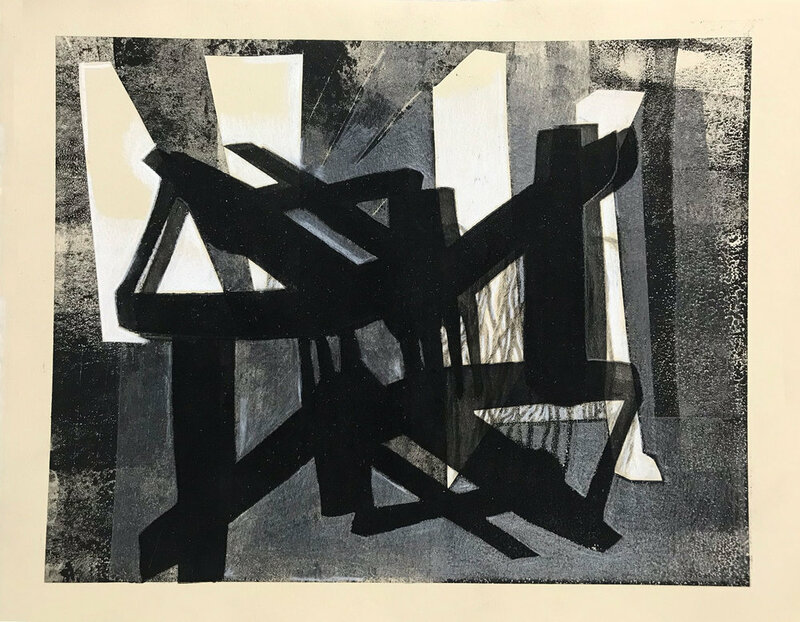 The work in this show is based on observational drawings I made of crane barges along the Duwamish River in Seattle over the past six years. Massive in scale, graphic in shape, these vessels are markers in the industrial landscape. 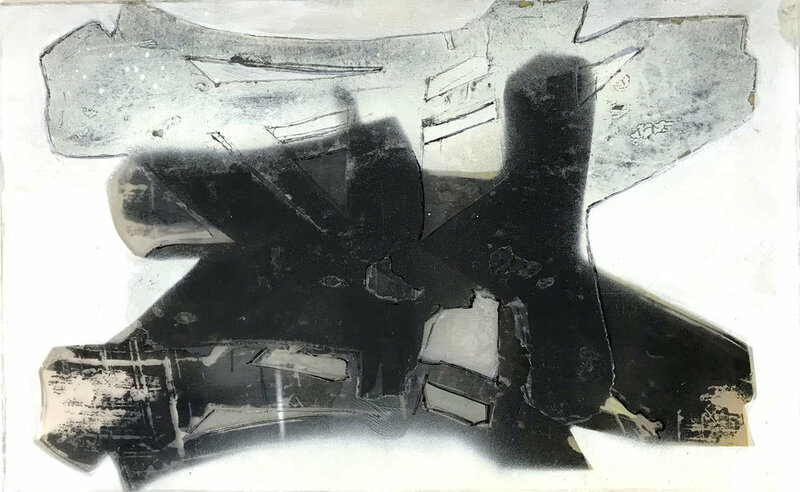 Using a process of iteration and methodical exploration I've created deconstructed images in various techniques, including, monoprints, transfers, soft sculpture, and foam cutouts.